 Sorokin, A.P. (2007) Thermohydraulic Studies of Safety of NPPs with Fast Reactors. Thermal Engineering, 54, 962-970. Aoto, K., Dufour, P., Yang, H., et al. (2014) A Summary of Sodium-Cooled Fast Reactor Development. Progress in Nuclear Energy, 77, 247-265. 李宁. 快堆与核燃料循环的未来[J]. 中国核工业, 2013(10): 30-32. 徐銤. 我国快堆技术发展和核能可持续应用[J]. 现代物理知识, 2011(3): 37-43. 徐景明, 刘学刚, 朱永. 要重视核燃料循环战略的研究[J]. 能源研究通讯, 2004(3): 56-60. 何佳闰, 郭正荣. 钠冷快堆发展综述[J]. 东方电气评论, 2013, 27(3): 36-43. 徐銤. 钠冷快堆的安全性[J]. 自然杂志, 2013, 35(2): 79-84. Niwa, H., Fiorini, G.L., Sim, Y.S., et al. (2005) Status of the Design and Safety Project for the Sodium-Cooled Fast Reactor as A Generation IV Nuclear Energy System. Proc. of GLOBAL, 9-13. Ichimiya, M. (2011) The Status of Generation IV Sodium-Cooled Fast Reactor Technology Development and Its Future Project. Energy Procedia, 7, 79-87. Nabeshima, K., Doda, N., Ohshima, H., et al. 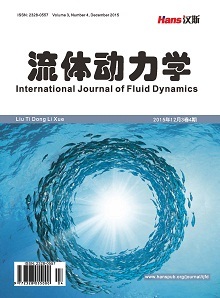 (2015) Analysis of Natural Circulation Tests in the Experimental Fast Reactor JOYO. International Topical Meeting on Nuclear Reactor Thermal Hydrau-lics. Arii, Y., Tomita, N., Maeda, A., et al. (1996) An Upgrading Program of the Reactor Core Performance of Fast Experimental Reactor JOYO (The MK-III Program). Journal of the Atomic Energy Society of Japan, 38, 577-584. 伍浩松. 日法合作到2019年完成示范快堆基础设计[J]. 国外核新闻, 2016(11): 13-13. Kawashima, K., Maruyama, S., Ohki, S., et al. (2009) Fast Reactor Core Design Studies to Cope with TRU Fuel Composition Changes in the LWR-to-FBR Transition Period. ICAPP, 7, 116. Nakanishi, S., Hosoya, T., Kubo, S., et al. (2010) Development of Passive Shutdown System for SFR. Nuclear Technology, 170, 181-188. Takamatsu, M., Sekine, T., Aoyama, T., et al. (2007) Demonstration of Control Rod Holding Stability of the Self-Actuated Shutdown System in Joyo for Enhancement of Fast Reactor Inherent Safety. Journal of Nuclear Science and Technology, 44, 511-517. Kostin, V.I. and Vasil’Ev, B.A. (2007) Problems of BN-800 Construction and the Possibilities of Developing Advanced Fast Reactors. Atomic Energy, 102, 19-24. Murogov, V.M., Subbotin, V.I., Kagramanyan, V.S., et al. (1993) Stimulation of the Development of Sodium-Cooled Fast Reactors. Atomic Energy, 74, 268-271. Kochetkov, L.A., Kiryushin, A.I. and Oshkanov, N.N. (1993) Sodium-Cooled Fast Reactors in Russia: Looking beyond the Year 2000. Atomic Energy, 74, 265-267. 吴兴曼. BN800:定位于闭式燃料循环的先进钠冷快堆核电站[J]. 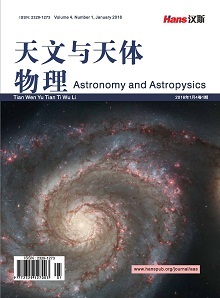 核科学与工程, 2011, 31(2): 127-134. Bychkov, A.V. (2006) Closed Fuel Cycle Strategies and National Programmes in Russia. Proc. 9th OECD/NEA Information Exchange Meeting on Actinide and Fission Product Partitioning and Transmutation, Nîmes, France, September 2006, 25-29. Oshkanov, N., Govorov, P. and Kuznetsov, A. (2008) 28 Years of Operation. Power-Generating Unit with BN-600 Fast Reactor. Atomic Energy, 8, 34-37. Poplavskii, V.M., Tsibulya, A.M., Kamaev, A.A., et al. (2004) Prospects for the BN-1800 Sodium-Cooled Fast Reactor Satisfying 21st Century Nuclear Power Requirements. Atomic Energy, 96, 308-314. 张焰, 伍浩松. 通用电气–日立与南方公司合作开展快堆研究[J]. 国外核新闻, 2017(1): 21. Heidet, F. and Greenspan, E. (2013) Superprism-Sized Breed-Andburn Sodium-Cooled Core Performance. Nuclear Technology, 181, 251-273. 王新哲, 徐李, 贾晓淳, 等. 超高燃耗常规快堆堆芯物理概念设计[J]. 强激光与粒子束, 2017, 29(3): 102-106. Sekimoto, H., Ryu, K. and Yoshimura, Y. (2001) CANDLE: The New Burnup Strategy. Nuclear Science & Engineering, 139, 306-317. 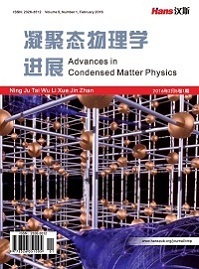 Zheng, M., Tian, W., Chu, X., et al. 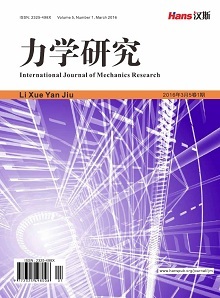 (2014) Study of Traveling Wave Reactor (TWR) and CANDLE Strategy: A Review Work. Progress in Nuclear Energy, 71, 195-205. 孙伟, 魏彦琴, 吴文斌, 等. 行波堆燃耗的计算特点[J]. 强激光与粒子束, 2017, 29(3): 23-27. 余诗龙. 印度研究堆简介[J]. 国外核新闻, 1999(12): 30-33. Chetal, S.C. and Chellapandi, P. (2013) Indian Fast Reactor Technology: Current Status and Future Programme. Sādhanā, 38, 795-815. 伍浩松. 印度原型快堆首次临界时间至少推迟至2017年3月[J]. 国外核新闻, 2016(8): 20-20. Raj, B., Mannan, S.L., Rao, P.R.V., et al. (2002) Development of Fuels and Structural Materials for Fast Breeder Reactors. Sādhanā, 27, 527-558. 伍浩松. 印度计划再建6座快堆[J]. 国外核新闻, 2016(1): 21-21. Chellapandi, P., Rao, P.R.V. and Kumar, P. (2015) Fast Reactor Programme in India. Pramana, 85, 525-538. 曹攀, 喻宏, 胡赟, 等. 中国实验快堆燃料组件精细功率分布计算[J]. 强激光与粒子束, 2013, 25(5): 1275-1278. 彭燕, 张东辉, 丁振鑫. 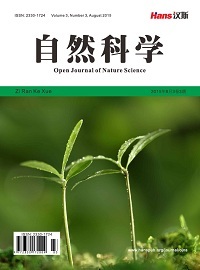 CEFR虹吸破坏装置两相流流动特性研究[J]. 中国原子能科学研究院年报, 2009(1): 6-7. 刘夫臣, 罗德康, 宋小松, 等. CEFR发电效率影响因素分析[J]. 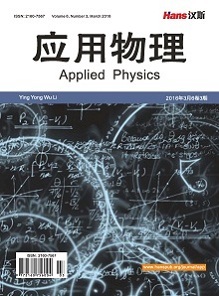 核科学与工程, 2016(6): 734-738.